Bring America’s favourite pastime home. Step up to bat in the most thrilling video game recreation of baseball to date. Feel the excitement of walking into a stadium of cheering fans, hitting a homerun, making a last-minute save and other unforgettable moments out on the diamond. 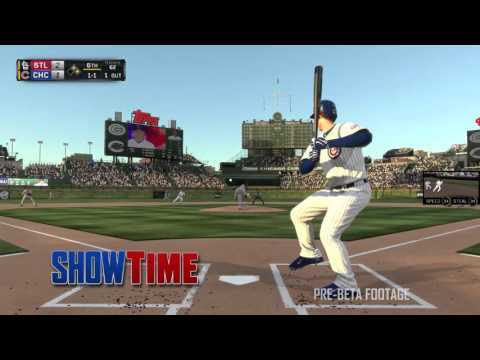 Your favorite MLB The Show game modes are back, such as the career based Road to the Show, the thrilling management responsibilities of Franchise, and dream team builder Diamond Dynasty. They join new features that make the game more engaging than ever, including the ability to slow things down with ShowTime and the chance to earn in-game currency and rewards in Missions. You can also choose a captain – select from six superstar players and then earn XP and Tickets towards that captain while you play any game mode. With 120 new pitching animations, 140 new batting stances, new swings and new player-specific home plate animations, this MLB experience is more true-to-life than ever before. Go online and take your friends out to the ball game for competitive and co-operative competitions, with PlayStation Plus. Buy MLB 16 The Show on PS4.